Reduced for quick sale. 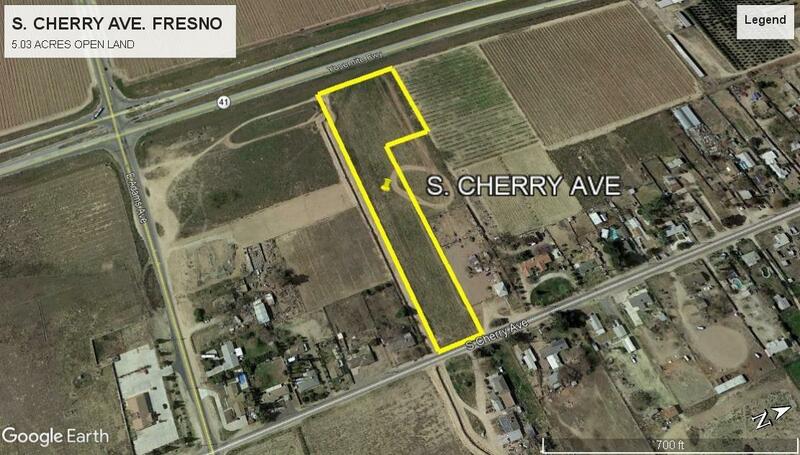 Hard to find 5 acres +/- of open land with high visibility and easy access to Highway 41. 5 miles from Freeway 99 and 3 miles from a high transitional industrial/commercial area including the newly built Amazon Fulfillment Center and the Ulta Beauty. Property is in the Fresno Irrigation District. An irrigation canal runs along the South end of the property.